His Majesty’s Correctional Services Commissioner General Isaiah Mzuthini Ntshangase has applauded Lujikeleto for its relentless efforts in upholding and promoting culture in the country. Lujikeleto is a cultural competition where different teams compete under Sibhaca and Ingadla categories. 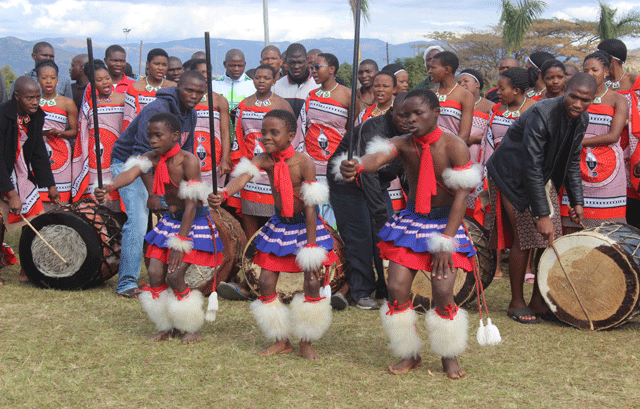 Over the past weekend, the department hosted this competition at the Staff College in Matsapha which was attended by over ten cultural teams that performed both Sibhaca and Ingadla from HMCS, Royal Eswatini Police, Umbutfo Eswatini Defense Force, Mbabane City Council, Ngculwini and Royal Eswatini Sugar Cooperation amongst others. Speaking during the competition, Ntshangase who was represented by Commissioner Raymond Nkambule expressed his delight over such efforts where the development of culture continues to be of paramount importance. According to Ntshangase, culture plays a significant role in bringing societies together whilst also upholding the beauty of our cultural values. He said the department was cognisant of this social ingredient, which in actual fact is a special gift that the Kingdom of Eswatini has nurtured and protected over years. In essence, he said cultural resources provide every human being with a personal and historical background that deepens the sense of belonging and identity. The commissioner general further applauded the support by the teams from the different companies as this signaled their commitment towards the development of culture in the country. All material © Swazi Observer. Material may not be published or reproduced in any form without prior written permission.